It is rare to see having bats as pets. They are not the steady kind and they are meant to fly at night… but now you will have a chance to see bats in the care of people. 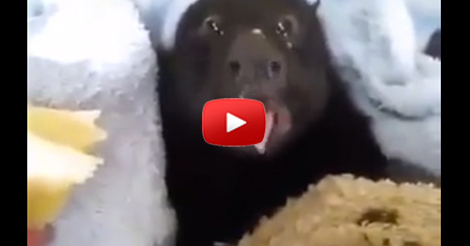 In the video below, you’ll see a bat eating a banana… and it’s is a rare sight! But you won’t be complaining for it’s adorably cute! The bat looks so vulnerable. I usually see them scary and angry but this one is just cute.